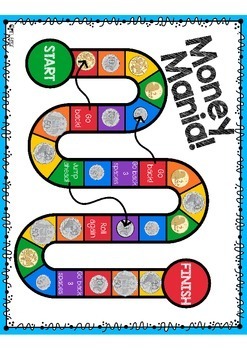 A board game designed to teach early learners about coins and their values. As students roll a dice, they move their counters along the board. The first one to the finish wins. 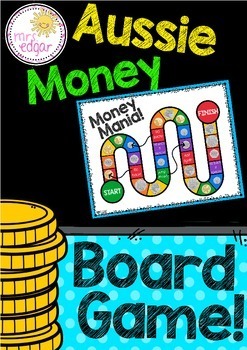 As they move around the board, students are required to identify the coins. 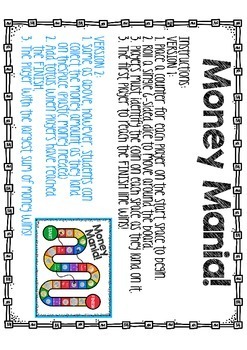 Another version can be played where students collect the coin values they land on (plastic coins required), and at the end of the game, whoever has the highest total amount wins.